The last twenty years have seen a major breakthrough in the way trade is conducted in the Western Hemisphere. The negotiation and approval of the North American Free Trade Agreement (NAFTA) in the nineties brought together the economies of the United States, Mexico and Canada, establishing the framework that created the world’s largest free trade area, connecting 450 million people, and producing $17 trillion worth of goods and services yearly. The agreement has been clearly successful in its purpose of increasing trade and investment in North America, and has provided great benefits for the economies of Mexico and the United States. However with the increase in the volume of goods and services now being exchanged, and to continue to facilitate trade and travel in a timely manner, existing infrastructure is being taxed and now requires increasing efforts by the countries involved to better serve the demand. During the 20 years NAFTA has been in effect, the energy picture in North America has also experienced dramatic development with respect to consumption, production, distribution and, more importantly, regarding oil and gas reserves in the North American continent. While energy consumption in North American has kept pace with increased populations and trade, what is more dramatic is the positive steps taken and the results obtained in oil and gas production, especially in Canada and the U.S. Mexico, while production has declined somewhat during the last 10 years or so, the energy Reform recently passed through the Mexican Congress is now fodder for those who speculate on the impact in North America of Mexican drilling that is now about to take off. Are we headed towards Energy Independence in North America? Some even say we are now looking at a possible and impending North America OPEC. The USMCOC has organized very successful conferences on Binational Transportation in the past (Dallas 2008, Veracruz 2007, Los Angeles 2006, Acapulco 2005); but Transportation is only one element of the rather vast universe of commercial relations in North America. For this reason, this year, we are presenting an opportunity to discuss the challenges to facilitate trade between Mexico and the U.S. with a more comprehensive approach, taking into consideration the aspects of infrastructure, logistics, transportation and energy, with a focus on sustainability, vis-à-vis current developments such as the negotiation for the Trans-Pacific Partnership (TPP), the ambitious, 21st century trade agreement that the United States is negotiating with 11 other countries throughout the Asia-Pacific region (Australia, Brunei Darussalam, Canada, Chile, Japan, Malaysia, Mexico, New Zealand, Peru, Singapore, and Vietnam) , the Energy Reform in Mexico, which while still in process, has an enormous potential of business opportunities for the oil and gas industry for the region, and the Panama canal expansion, among others. These topics must be discussed with due consideration of the principle of sustainability. True economic development, cannot occur without guaranteeing the preservation of the environment. 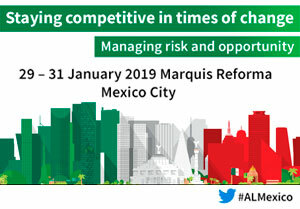 We have invited top level officials, who are key players in the development and implementation of policies related to transportation systems, security, infrastructure, we will also have the participation of leading companies not only from the U.S. and Mexico, but we are bringing Canada into to the conversation, which will give this outstanding event a truly North American flavor. This important public-private sector event will address the capacity of our countries to enhance their joint competitiveness and participation in the global trade system. The conference will promote transportation, infrastructure, logistics, energy capacity building, security and sector development, which are consistent with NAFTA, the 21st Century Border Initiative, and with the commitments specified in the Joint Statement by North American Leaders – “21st Century North America: Building the Most Competitive and Dynamic Region in the World” made on February 2014 during the Trilateral Summit in Toluca, Mexico. This year’s conference, “North American Sustainable Economic Development Summit” is designed to address the issues facing energy independence in North America, international trade, manufacturing, transportation and all related business. We will bring together business leaders and key bi-national government leaders to speak and explore a broad range of ways to further integrate our economies through trade. 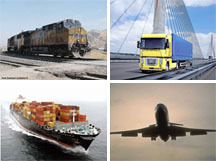 It is our intent to focus on current issues that affect transportation, infrastructure improvement, energy, services, supply chain integration, trade facilitation, regulatory structure and emerging barriers that our countries face, in order to contribute to increasing the region’s competitive edge in the global market.